These Corso® beam clamps will be up and running quickly, easily fitted, these products are adjusted via the hand crank. Their design makes them ideally suited for use on I or H beam steel structures. There are five different models within this range, varying from a working load of 1000kg to 10000kg. 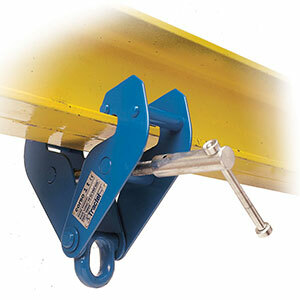 Each clamp features a hinged anchor ring and every item is CE marked.